MyHDW is aligned with the National Health Transformation Plan, which focuses on leveraging technology and intelligent solutions to drive innovation and transformation. 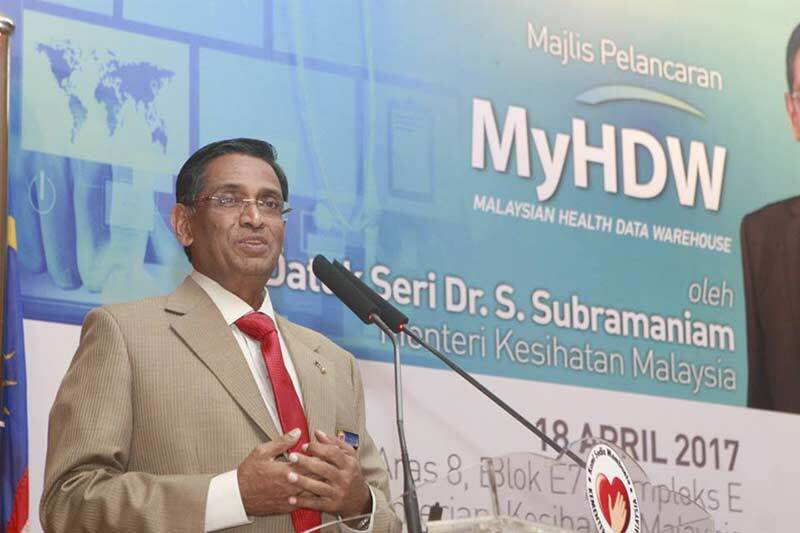 MyHDW was created with local technology developed by MIMOS, the national R&D agency for Information and Communication Technology (ICT) in Malaysia. It was modelled after best practices from various developed countries. It has been built through collaboration and partnerships involving not just the Ministry of Health but also, several other government agencies, non-governmental organisations (NGOs) and also the private sector. This is in line with Malaysia’s National Blue Ocean Strategy (NBOC) and Goal 17 of the Sustainable Development Goals (SDGs) set by the United Nations Development Programme (UNDP). Goal 17 talks about ‘Partnership for the goals’. According to the press release, though health data can be recorded electronically today, the nature of data continues to be aggregated. In addition, the collection of the vast amounts of health data is tailored to the varying needs of different divisions within MoH, other government agencies and the private sector. This has resulted in the creation of a siloed system and the expenditure of excessive time and manpower whenever multi-dimensional health information is required. The integrated nature of MyHDW will help in dealing with this problem and make the data accessible without time and location boundaries. With its detailed data collection, MyHDW is expected to serve as a trusted source of comprehensive healthcare data. It will also facilitate the use of data analytics for informed strategic business decisions. The data is structured for query and analysis purposes. MyHDW has the capability to generate reports, analyse and disseminate information through a dashboard, featuring disease-based KPIs (Key Performance Indicators). The summary might include demographic information and information on clinical and procedural interventions. The ability to deal with unstructured data has been incorporated through a feature named MyHarmony. MyHDW can also be integrated with Geographic Information Systems (GIS) to present analysed health statistics coordinated geographically, down to very specific locations. This would help in future planning of health statistics. Access to information stored in MyHDW is highly regulated. There is high emphasis on data security and privacy and a Data and Information Governance Committee has been established. This article is based on a press release from the Ministry of Health, Malaysia.